Mold growth is produced by of high levels of moisture in your air ducts. It can be caused by humidity, broken water pipes or water heaters. The moisture in structural materials, such as air ducts, and in the correct environment - begins to grow nourished from organic materials that can be found around such as debris, dust, and more. 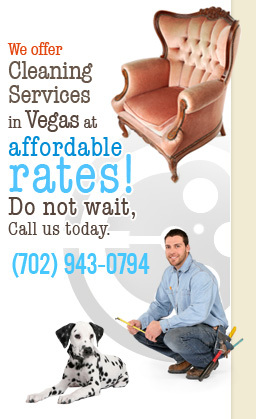 Las Vegas Carpet Cleaning offers services for Las Vegas Mold Remediation and protection throwout Clark County. Just because you live in Nevada does not mean you don't have mold, since most homes have air conditioning systems that do get heated and moisture is present by living conditions, there is a potential for mold growth. Las Vegas air Duct Cleaning services include mold testing, mold removal and prevention. Signs of exposure to Mold can include: eye irritation, nasal and sinus congestion, respiratory problems, throat irritation, skin irritation, and allergies reactions that develop without any prior history. Especially susceptible are “at risk” populations with a weakened immune system, such as young children, older adults, individuals with chronic inflammatory lung diseases or severe allergies. Mold is a fungi that grows as part of nature. They grow anywhere when moisture is present. Molds procreate by spores, which are carried by wind. It is normal to have some mold in any home, but excessive growth can lead to health hazards. Mold is nourished by moisture and all other kinds of organic matter, such as debris, and dust containing skin cells. Las Vegas Carpet Cleaning residential and commercial Air Duct Cleaning and Mold inspectors will come to your home, office or commercial space and provide free estimates for Air duct cleaning as well as Mold Removal and Mold Remediation. Our Certified Air Duct cleaners will fully test your HVAC system for mold growth, using a variety of tests, with the use of a variety of instruments and techniques to conclusively test for mold and moisture. If you suspect mold in your air ducts, the first thing to do would be to call a certified Las Vegas Carpet Cleaning, air duct cleaning service professional to come and conduct the cleaning for you. We will dispatch a technician as soon as possible to help you take care of your problem and get your home a step towards a healthier home environment. Call now: 702-943-0794 for professional air duct cleaning - improve your health now.